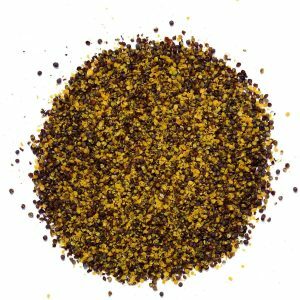 Our Fresh UK Grown Fresh Wasabi (The Wasabi Company) Mustard is a new addition to our product portfolio. 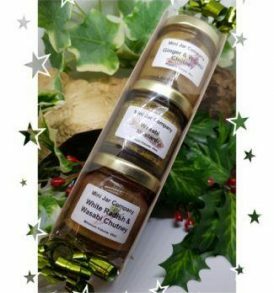 Using fresh UK grown Wasabi, Yellow & Brown Mustard, Rice Wine Vinegar Salt makes this Mustard ideal for use with Cold Meats, Cheese or other Meats. The fresh Wasabi we use is grown in natural, mineral rich water on our Dorset and Hampshire farms. The prized rhizomes take at least 18 months to reach harvest. Fine grating breaks down the Wasabi at a cellular level instigating an enzyme reaction that delivers an aromatic, fresh flavored pungency with a natural sweetness. The Wasabi Company who grows this Wasabi is the ONLY fresh Wasabi grower in Europe. Fresh Wasabi is classically paired with sushi and Sashimi. Versatile in the extreme fresh Wasabi can also flavor dressings, butters, sauces, Ceviches, Gravadlax, Sorbets, foams and freshly grated will accompany Meat or Fish. Archaeological evidence shows the ancient Japanese were eating Wasabi as early as 14,000B.C. By the 16th century cultivation had spread, but use was restricted to the Japanese ruling class. Production increased with the rise in popularity of sushi, when Wasabi became the preferred flavoring and was prized for its ability to counteract food poisoning. Wasabia Japonica is a member of the Brassica family, which includes cabbages, horseradish and mustard. Large, heart shaped leaves grow on 60cm long stems from the crown of the plant. 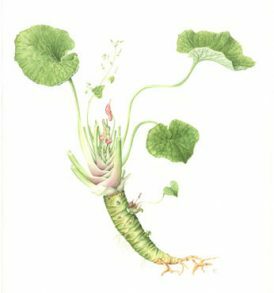 The Wasabi stem, or rhizome, is formed at the base of the plant and grows upwards above ground taking up to two years to reach maturity. It is this stem which is grated to produce Wasabi paste. 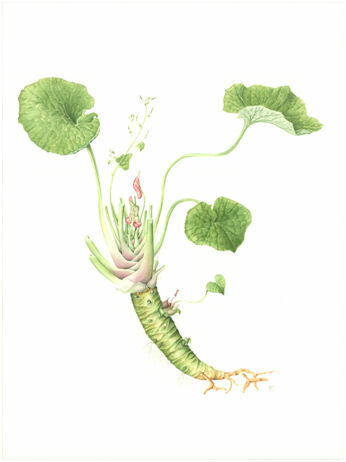 It is a common misconception to refer to the Wasabi stem as a root or rhizome when it in fact it is neither. The term rhizome is so often used it is an acceptable name for the stem that is formed as leaves die back, much like a palm tree trunk is formed. The color of the stem varies from a very light green to a darker green depending on variety, time of year and which part of the stem is grated. The greenest Wasabi is found under the leaf stems. A purple ring formed by naturally occurring anthocyanins is often seen running through the Wasabi stem. Clusters of delicate white flowers appear on long stems rising high above the plant in late winter signalling an emergence from dormancy and return to growth. All parts of the Wasabi plant are edible and each carries the distinctive Wasabi flavor although the strength of flavor and pungency varies considerably. The pungent heat produced by Wasabi when eaten is a natural deference mechanism to warn off predators who would like to eat the plant. An evolutionary arms race spanning hundreds of millions of years between caterpillars and brassica plants is responsible for the characteristic heat of Wasabi and other plants like horseradish and mustard. Ironically this flavor is exactly why humans consume these plants today. 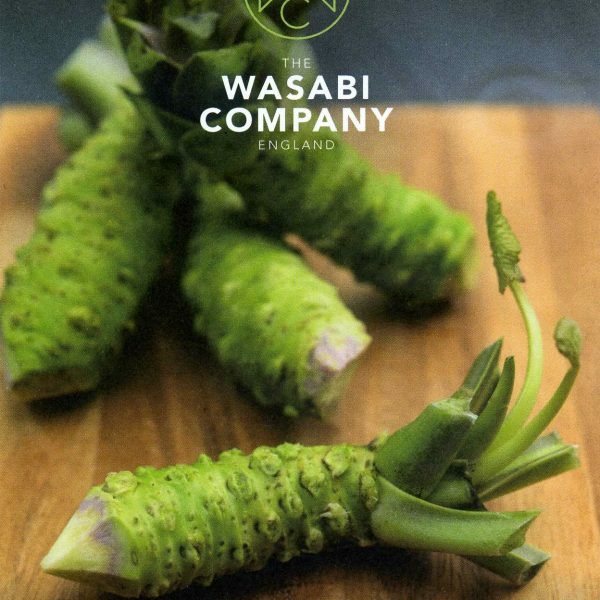 Wasabi is notoriously difficult and expensive to cultivate, as a result pastes and powders purporting to be Wasabi contain very little actual Wasabi. Check the ingredients and you will see horseradish, mustard powders, sweeteners, colourings and other additives make up most of the ingredients and real Wasabi makes up just a few per cent. Some products masquerading as Wasabi contain NO real Wasabi. Try the fresh and find out what you´ve been missing. Just be aware that fresh Wasabi is a beautiful pale green color when grated and ready to eat. There’s nothing wrong with it because it isn’t lurid green, on the contrary, it’s just how nature intended it to be. The pungent heat of Wasabi differs from Chilli. It develops quickly and rises up the sinuses rather than holding in the mouth, then quickly dissipates. We think fresh Wasabi has a very clean heat. You’ll see what we mean when you try it. It is the isothiocyanates (ITCs) produced when Wasabi is grated that led to Wasabi’s ancient reputation as a healthy food. Anti-microbial, anti-bacterial and anti-parasitic qualities inherent in these ITCs are very likely the source of Wasabi cultivation in ancient Japanese societies. The diet often contained raw fish and Wasabi was used to counter the effect of food poisoning by killing bacteria and parasites in the fish. Along with other famously healthy members of the Brassica family that produce ITCs, like broccoli and watercress, Wasabi has recently become an important tool in research into cancer prevention and treatment. Wasabi is very low in cholesterol and sodium and a source of dietary fibre and vitamin C. It is also a good source of Vitamin B6, calcium, magnesium, potassium & manganese. It is unclear how much and how often you should be eating fresh Wasabi to encourage all of these benefits but research continues.